You are here: Home » Mesenteries Love Spuds! Did you know you have a new organ in your body? Recently, an Irish surgeon declared that a flappy piece of connective tissue that surrounds parts of our intestines is actually an organ. It kind of looks like an angry potato, if you ask me. The mesentery is interposed between the intestines and the body, making it is optimally positioned to sample intestinal (ie, environmental) cues and mediate local responses, systemic responses, or both. Mesenteric nodes sample bacterial components derived from the adjacent intestine and regulate migration of B cells, T cells, natural killer cells, and dendritic cells to nearby intestinal mucosa. 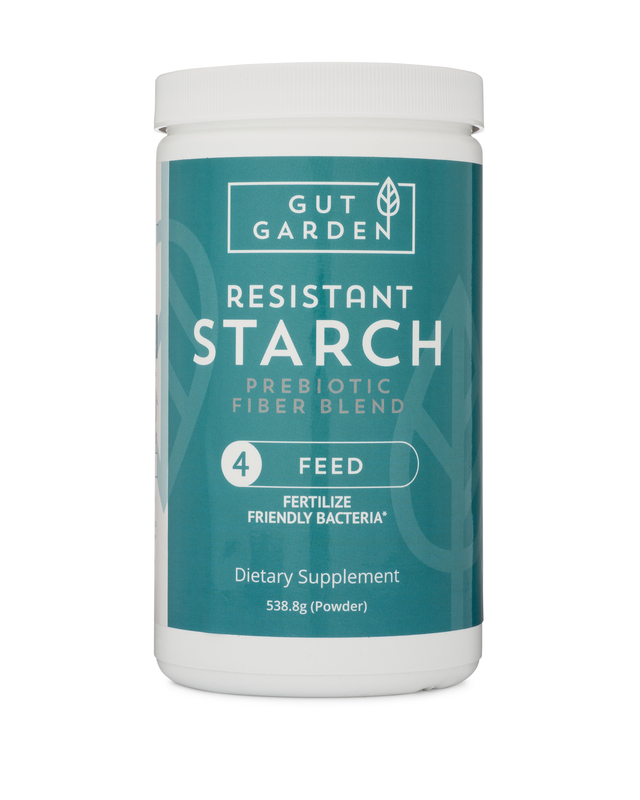 While the distinction of being an organ is new, the mesentery is no stranger to those studying resistant starch. Before being proclaimed an organ, the mesentary was referred to as mesenteric tissue. This tissue has a system of lymph nodes and a bad habit of accumulating fat. When the mesentary gets fat, you get sick. Clarifications of the mesenteric anatomy have a clearer understanding of diseases involving the mesentery, examples of which include malrotation and Crohn’s disease (CD). In CD, the mesentery is frequently thickened, rendering haemostasis challenging. In addition, fat wrapping — creeping fat — involves extension of mesenteric fat over the circumference of contiguous gastrointestinal tract, and this may indicate increased mesothelial plasticity. There is a proven reduction of fat build-up in the mesenteric tissues of animals fed RS. I doubt we’ll find many human studies as the method of weighing this fat relies on an expeditious autopsy…we may conclude, however, that a healthy diet which includes several forms of resistant starch and fiber will lead to a reduction in visceral fat, including the buildup around a newly discovered, important organ called the mesentery. Be kind to your mesentery…eat potatoes! ← From Gut to Immune System to Brain…pay the toll with potatoes! “A good way to imagine the shape of the mesentery and the bowel is to look at a set of drapes hanging in front of a window. The drapes are a sheet of cloth that is folded back and forth. At the bottom, drapes usually have a hem, where the cloth is folded over onto itself and sewn. In a sense, the folded over part makes a hollow tube. In the same way, the gut is a hollow tube at the edge of a curtain of tissue. It is folded back and forth upon itself much like drapes. The arteries and veins that attach to the intestine come up to it in the drape material. This “drape” is called the mesentery. It’s a sheet of fat and connective tissue with arteries inside. It’s covered on both sides by glossy smooth, clear coverings called “peritoneum”. They say a picture is worth 1000 words but in this case the word description was much better. Haha, I just knew you were the one who was going to bring this up in the blogosphere! I bought your book (hardcopy and ebook) 2 weeks ago. Yesterday I started the potato diet, gonna dig in for 2 months 😀 Did it once before 2 yrs ago, for a week, with wonderful results. This time I want to go down from 80kgs to below 70. already lost one kg, and again amazed at how the hunger is so easily controlled when eating nothing but potatoes (I had this experience after just one meal, after 1,5yr of crappy eating, with last two weeks less so). Well written, the book. I gave the hardcopy as a christmas gift to the practitioner I told you about (if you remember). He’s still in the potato’s are bad paradigm (but I see a very good cooperation in the future, don’t get me wrong on that). I have a question for you. I heard on a podcast that eating lots of turnips is strongly antifungal. The podcast is of extreme health radio – robert von sarbacher (type in youtube or itunes). Lots of unusual info there as well. he says beets are also strongly antifungal because of zinksulphate and it permeates to the whole body stopping metabolism of fungus (last week i ate lots of beets, i did notice very subtle things). And he advises only sesame/sunflower oil for oilpulling, and the theory behind it was interesting me so i’m doing sunflower oil oilpulling as of 4weeks (every couple of days). The potato diet is imo and ime (but rather still an assumption) the best antifungal and ‘cleansing/detoxing’ out there. But would eating turnips, in this light, be a good thing to do? Especially considering I’m also doing this potato hack for/while healing. I’m using ldn as of 3weeks (finally obtained prescription thank god) and its working wonderful, I feel that my theories regarding ldn and endorphins hold very very strong water. Never ever had these kinds of results before. I wouldn’t be doing potato hack wasn’t it for the healing trough ldn (and turpentine). 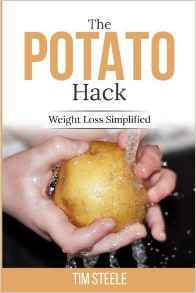 I think the potato hack on its own is antifungal enough, but a turnip or two a day would not hurt things. Good luck! Speaking of fungus, there’s a documentary i saw recently about a man who build the first supermagnified elektroscope (better than the ones they use today). He was looking for what cancer really was.. shocker (it kinda is, even i still doubting about how real it is)… fungus. And he developed the cure to it. Also shocker (no).. the powers that be would have none of it. the fungus link to disease has been severely suppressed. Just think about how many lives could have been saved/improved and how this concept alone would have improved human society. This is as big in the health realm, as nikola tesla’s wireless technology is in the energyproduction realm. Cancer is fungi? Sounds like a sci-fi story to me! I gotta tell ye, truth is stranger than fiction. Science and fiction are often(i should say mostly) reversed (like almost everything, try not to assume that i just assume this or that this is a figment of my imagination). Also, in my understanding its completely ridicilous that this organ has only now been discovered. I can also tell you firsthand that bio-energetic medicine works. I have a diploma of scenartherapy (2,5yrs ago, in first class of scenarbelgium) and its without a shout of a doubt that it works (firsthand and the numerous results from people coming from all over the country). Though, its been hard to wrap my head around as to how it exactly works (and why would that woowoostuff work in the firstplace, untill its not so woowoo ofcourse). Even the russian scientists themselves have discussions about this. I myself have recently found out for a great part of why it gives the results it does (with chronic conditions), and also why I was one of the 10-20% that only got partial benefits from it.. I have a (embarrassing!) memory of seeing Dr. Oz display this organ on Oprah. No no, that was his codpiece. That’s not the same thing at all. LOL! Thanks for the animal studies supporting the idea that RS helps properly manage mesenteric fat. That is information that’s good to know of. What’s wrong with this particular headline? I think it is appropriate because certain body parts have not been considered to be organs. And if the mesentery behaves like an organ, then in certain ways it has now been recognized as such. It’s like fat. They call that an organ now as well because of hormones. And the skin is an organ too. Maybe we need to find a definition for what is an organ? Requires a bit of a paradigm shift: a fundamental change in approach or underlying assumptions. Greetings to you, Gemma! Nothing wrong at all with Tim’s headline or description. But so many headlines are calling it a “Newly Discovered Organ.” There’s nothing new about the mesentery! Now, what they’re discovering about its function and dysfunction may be novel! But it itself as a structure is not. It should be clearly labeled in any high school human anatomy book’s chapter on the GI even. A proper headline would be: “Gastrointestinal Mesentery Reclassified as an Organ.” Make sense? I thought the same thing, they make it sound like suddenly we have an organ that just appeared from nowhere. And the pictures make good clickbait, lol. The diagram at the top of the page is from Gray’s Anatomy (1918) and clearly points out the mesentery, so it’s not like it’s even a new name, lol. Most people are surprised to learn their skin is also an organ. I have a feeling there are still a couple organs left to be named…the microbiota, for instance, and possibly some that don’t even have proper names yet. Yes. I’m waiting on the microbiota to be classified as an organ. It sure would go a long way in helping us educate people about taking care of it, like how we have heart diets and diabetic diets. If we had American Microbiota Diets, we might not be in this heap of hurt we’re in right now.